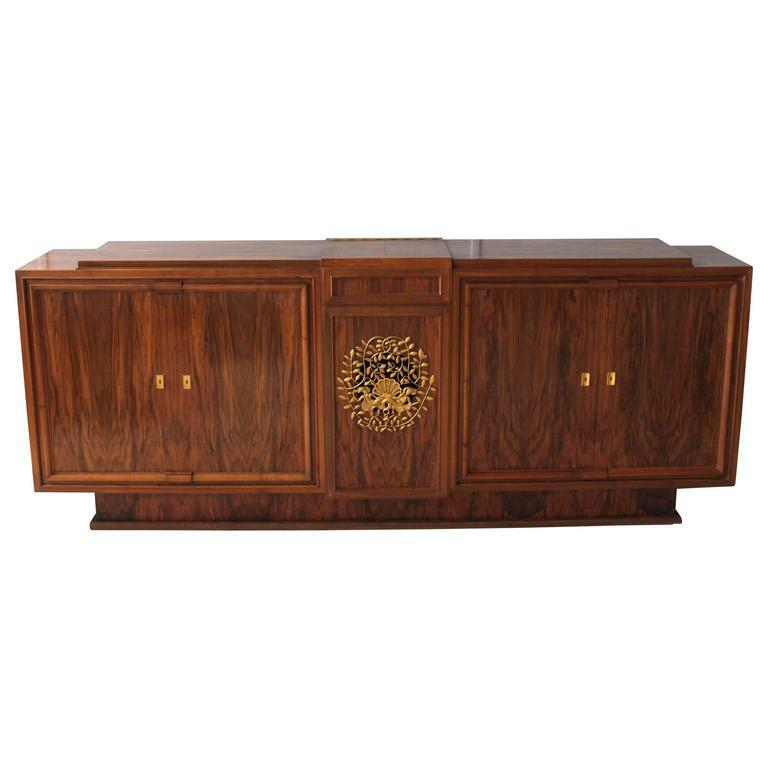 With two pairs of doors opening on four vinyl record storage compartments, a center drop front opens to receive a turntable and a center speaker compartment, covered on front with an original mermaids and leaves gilded large round bronze. 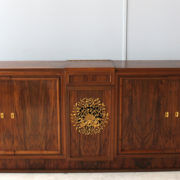 Good original vintage condition, wear consistent with age and use; one noticeable nick on top to be touched up. 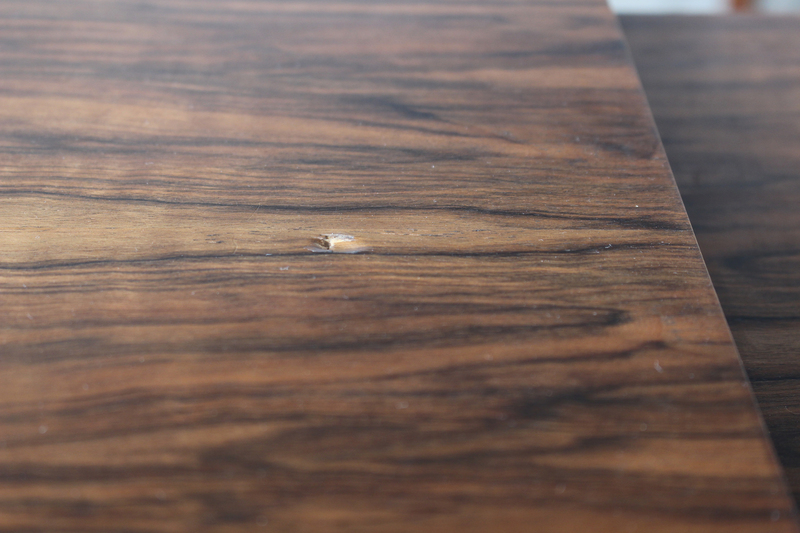 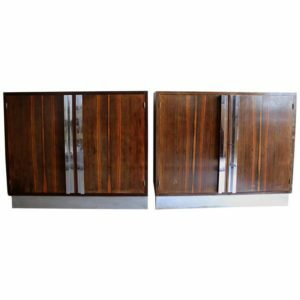 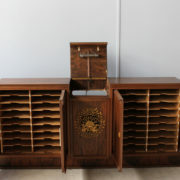 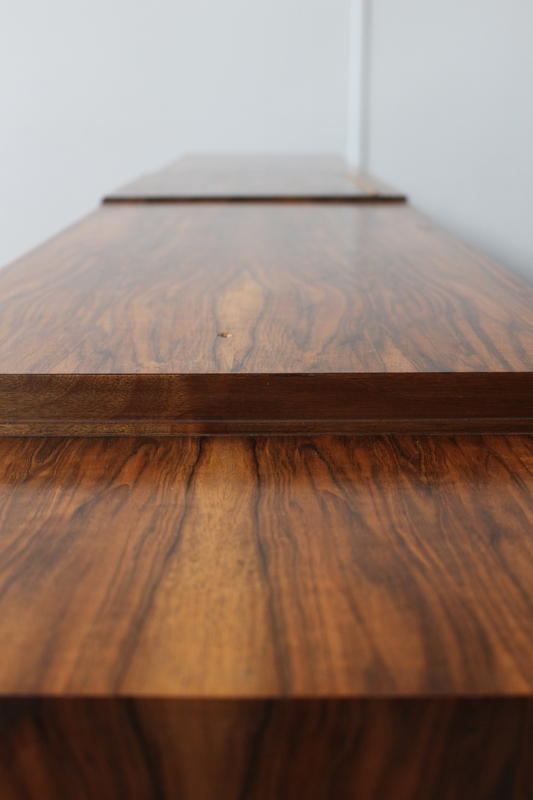 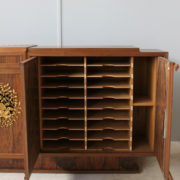 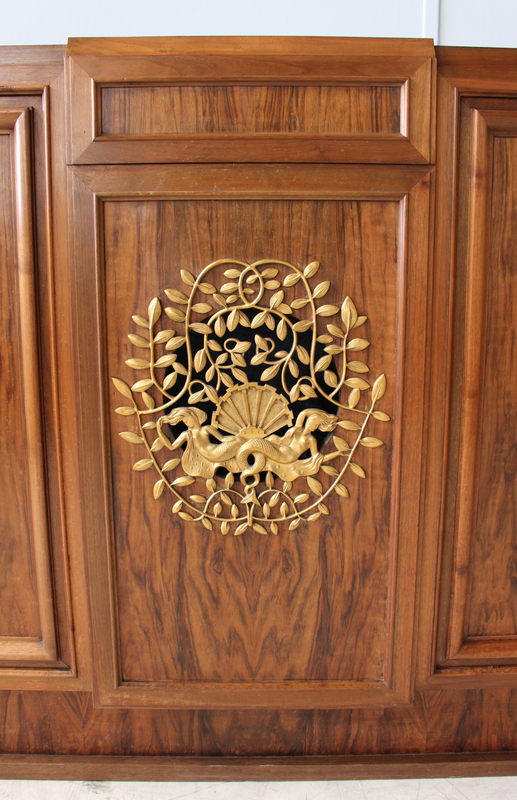 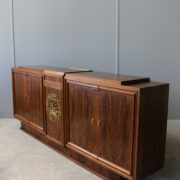 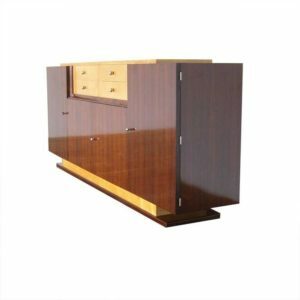 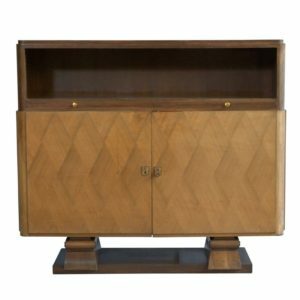 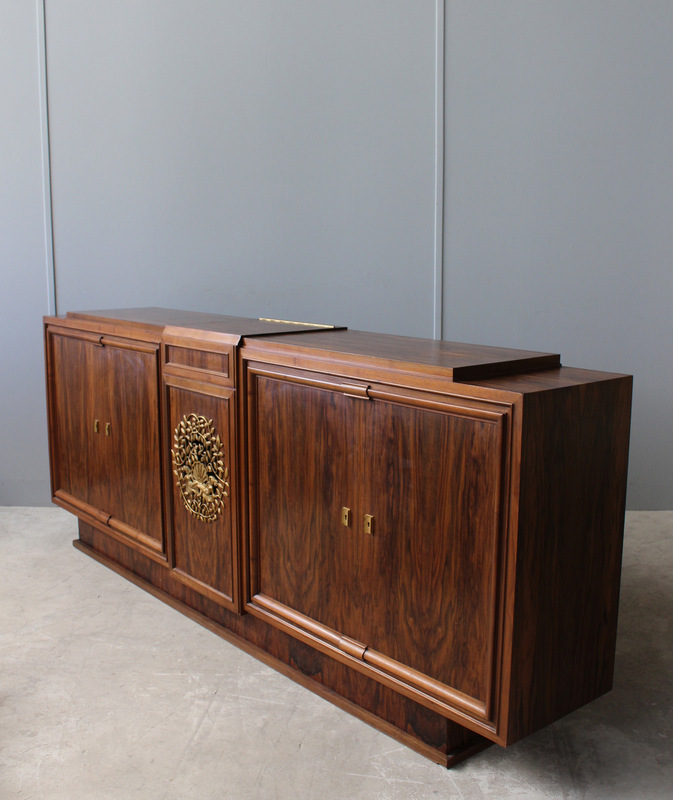 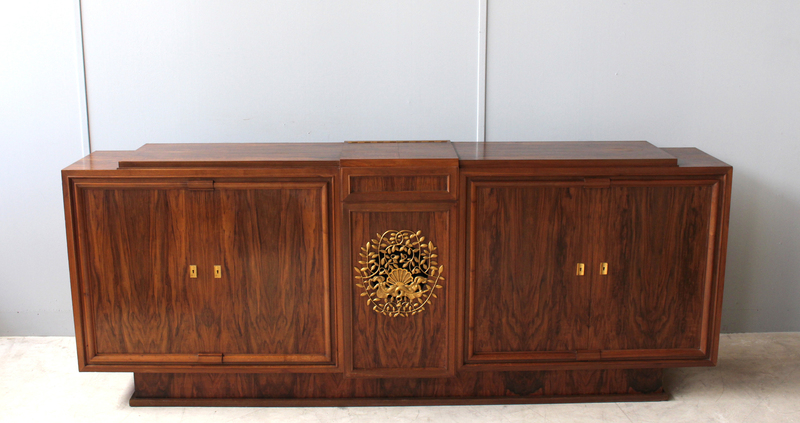 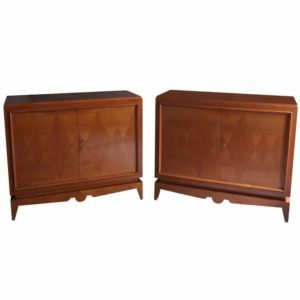 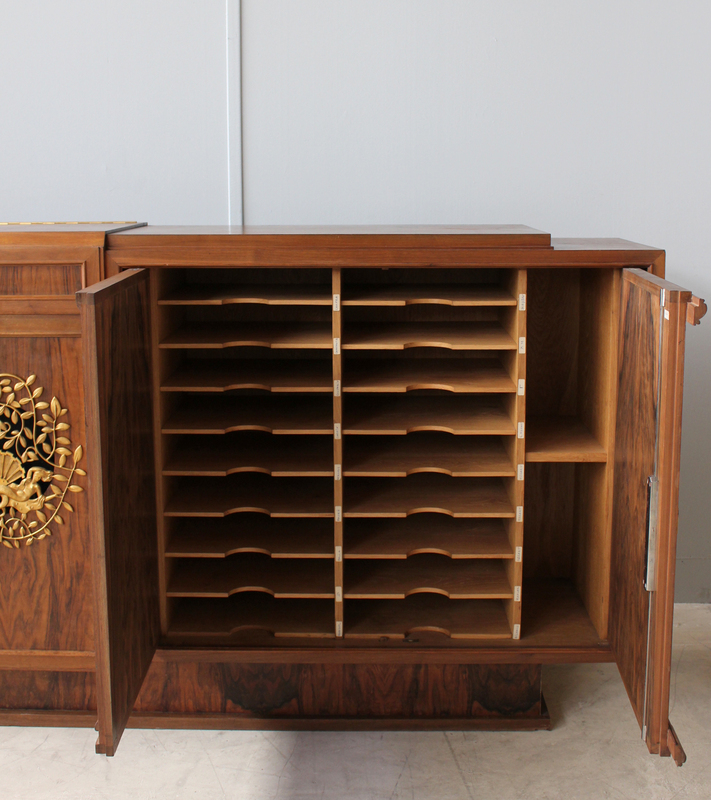 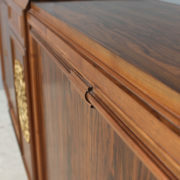 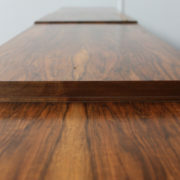 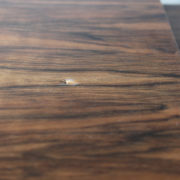 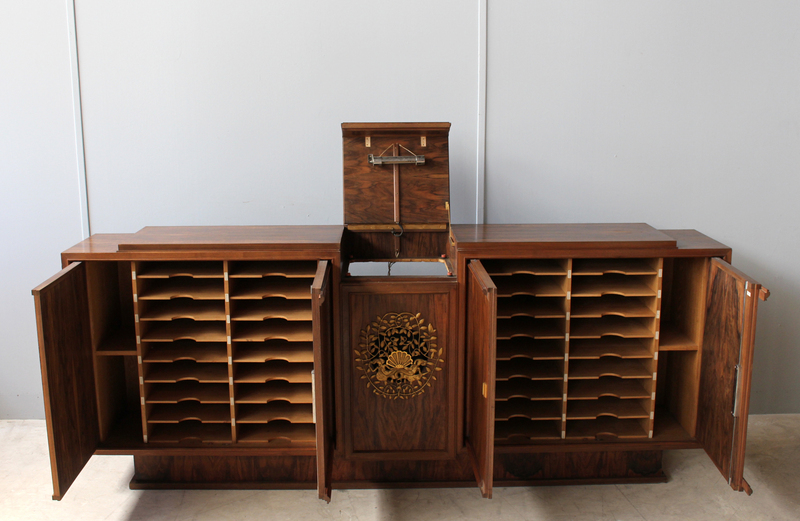 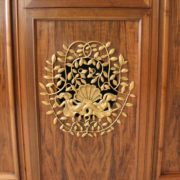 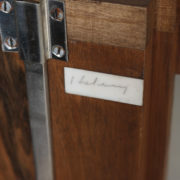 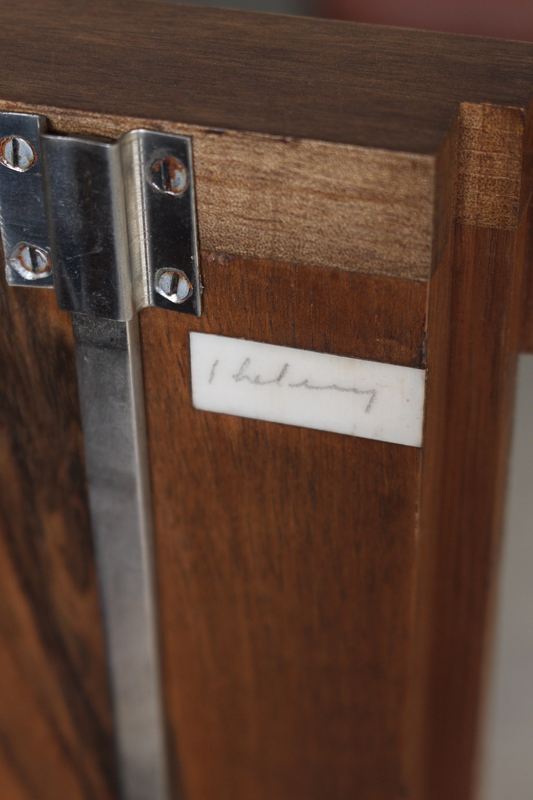 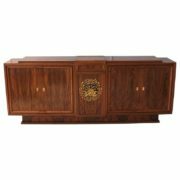 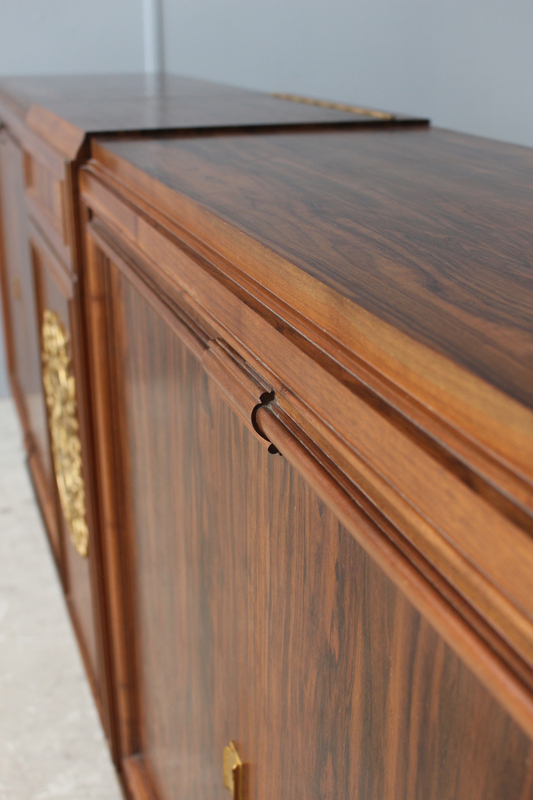 Soyez le premier à laisser votre avis sur “Fine French Art Deco Walnut Music-Stereo Cabinet or Sideboard by Jules Leleu” Annuler la réponse.